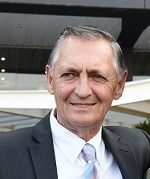 Trainer Peter Snowden has heaped praise on emerging three-year-old Napoleon Solo saying his effort to beat older horses at Rosehill on Saturday is a sign of great promise. While Snowden was hesitant in asking the colt, at just his fifth start, to meet far more experienced rivals on the back of a maiden win he said he wanted Napoleon Solo to race this week to stay in step with his plans. When the scheduled three-year-old 1500m event was deleted due to only five nominations it forced him to throw Napoleon Solo in the deep end and boy did he swim. "I think he's a carnival horse, whether it is the autumn here or Brisbane I'm not sure,'' Snowden said. The win was in stark contrast to his last-to-first performance at Randwick on November 6 as Kerrin McEvoy parked him in the box seat. He looked in trouble early in the straight but once McEvoy pulled him across a couple of heels he sprinted sharply to down Turnberry by half a length, handing the champion jockey a treble at the meeting. Napoleon Solo's last 200m of 11.46 (Punters Intel) was easily the best of the race and enabled him to reel them in late. "He hit a flat spot, we rode him a bit closer than normal and when the sprint went on he was flat,'' Snowden said. The grandstand jockey role doesn’t sit well with Jason Collett when it comes to his partner Clare Cunningham’s talented sprinter Cradle Mountain. As the five-year-old collected his sixth win from nine starts in another all the way win in the ATC Tipping Competition Handicap (1300m) the suspended Collett was forced to watch Kerrin McEvoy do the steering on a horse nobody else had ridden in a race or trial previously. “I was a bit nervous, more nervous than I would have been if I was riding him because I know the work Clare has put into him,’’ Collett said. With the super sub McEvoy in control, Cradle Mountain posted his first win beyond 1200m but Cunningham indicated she’ll look to keep the gelding at the shorter trips for now. She pointed to the Listed Razor Sharp Handicap (1200m) at Randwick on December 15 as a possible next step if he pulls up well. “He just makes life easy, he just jumps and puts himself on the pace,’’ she said. The Golden Gift was expected to be a tough contest despite the small field but Godolphin colt Tassort made it a one act affair. Five lengths astern of Tassort, were his three rivals and here are their riders’ comments. Spaceboy's trainer Gary Portelli was kicking himself after the race for not giving his colt a second trial after seeing him pull up obviously in need of the run. Given Tassort's five length margin it's hard to argue the result would've been reversed but Portelli will now push on to the Wyong Magic Millions (1100m) next month with a bit of confidence. 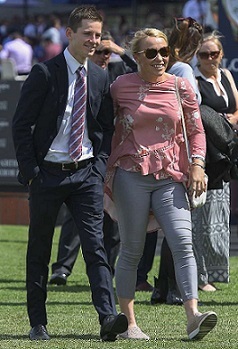 Trainer James Cummings revealed after Tassort’s debut win that his half-sister Alizee will be appearing at the trials in December ahead of a short summer campaign. Alizee, last start winner of the Group 1 Queen Of The Turf during The Championships, missed the spring having bled in preparation for her scheduled return in August. “She’s a few weeks off a trial,’’ Cummings said. Alizee has had just 14 starts for five wins and Cummings said because she’s a big mare she’s likely to have one or two starts through summer. In-form four-year-old Sky Boy ticked the final box needed for trainer Anthony Cummings to head into next month’s Group 2 Villiers Stakes when he relished a strong speed and posted his fourth straight win at Rosehill on Saturday. Cummings had been adamant Sky Boy’s best would be seen when he could chase the speed and he was vindicated as he scored by a length over Fierce Impact in the 2019 Membership Handicap (1800m). The win and the additional ratings points virtually ensure Sky Boy a start in the Villiers over the Randwick mile on December 15 where he'll again face off with Fierce Impact. “He’ll get to the top level in time,’’ Cummings said. The race was turned on its head a little when a couple of tactics changes were announced pre-race which saw the speed turned on resulting in Sky Boy getting within 0.41 of the 1800m course record held by Intergaze. But jockey Christian Reith kept his cool and ensured Sky Boy was around the leaders on the turn. “The race turned out differently to what we expected, a couple turned into speed humps at the top of the straight but Christian once again rode a good race,’’ Cummings said.